New applications for the State Nominated Migration Program are being accepted with an interim Western Australian skilled migration occupation list (WASMOL) targeting those occupations which are of a specialist nature and have compelling evidence of unmet demand at a State level. The State Government will be consulting with industry to develop a new list which is expected to be complete and operational in late May 2017. Further information will be posted on the migration portal as it becomes available. All applications received before suspension of the program on 13 March 2017 will be processed according to the criteria that were in place prior to this date. Invitations issued to intending migrants before 13 March will be honoured and their applications processed. 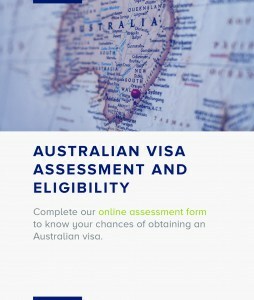 The Government of Western Australia nominates eligible migrants for the Skilled Nominated and Regional (Provisional) Skilled Nominated visa categories. Skilled Migration Western Australia (SMWA) processes nominations on behalf of the State Government. If you are nominated by SMWA, you are given an automatic invitation to apply for the visa from the Department of Immigration and Border Protection. New applications for the Perth region remain suspended. Further information will be posted on the migration portal as it becomes available. All applications received before suspension of the program on 13 March 2017 will be processed according to the RSMS guidelines in place at the time of application, including for the Perth region. 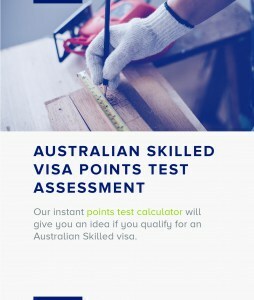 The Regional Sponsored Migration Scheme​ (RSMS) is a Department of Immigration and Border Protection​ (DIBP) program that allows skilled migrants to fill employment vacancies where there are no local Australian applicants available. ​Under RSMS, employers in regional Australia can nominate skilled migrants to fill a full time vacancy – available for at least two years – when there is a genuine need for a paid employee. To nominate a skilled worker under the direct entry stream​, the employer must be assessed by an RSMS certifying body​. Skilled Migration Western Australia (SMWA) is a certifying body and provides advice to the Department of Immigration and Border Protection on whether RSMS direct entry stream applications meet set requirements.